Common list for national classes for doorslammers within advanced ET, similar ProModified but has slightly more moderate rules. 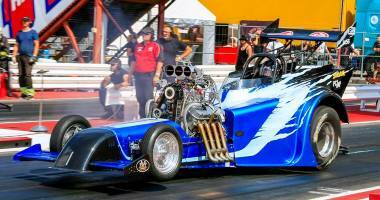 Pro Comp Scandinavian series competes within Advaced ET and bringing together cars able to record low 4 seconds ET's over 660ft. 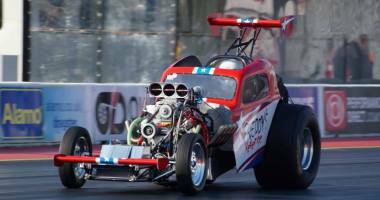 Compressor supercharged cars of "Altered" type in two fuel options, Methanol (BB) and nitromethane (AA). These vehicles had no own competition class until 2005 when NFAA was founded in England. Methanol altereds have been able to compete in such Comp Eliminator, ProComp and SPET, where they are limited to the respective class rules. 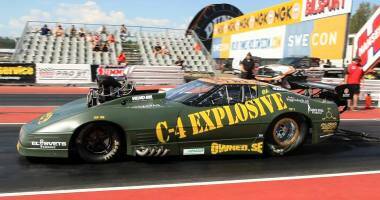 Nitromethane altereds are forbidden to compete in many European countries. 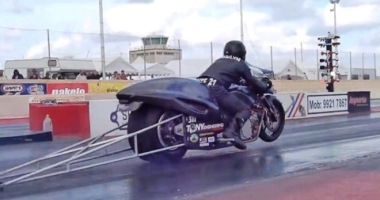 Must resemble a road going bike but have in force no engine or fuel restrictions. Can run high 6s at around 200mph. Super Twin Top Gas is a class for two-cylinder gasoline-powered motorcycles. This is a combined list of the results of the Euroserie, the Nordic serie, the UK serie and national championship races.